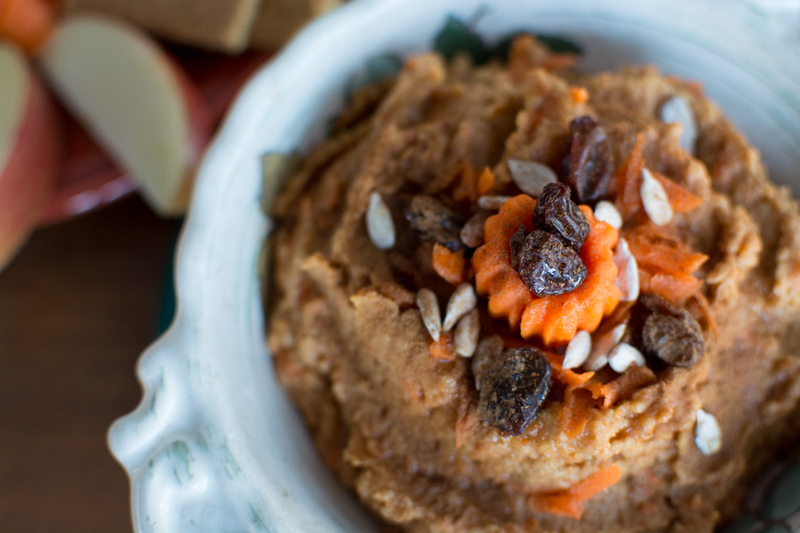 Dessert worthy hummus. 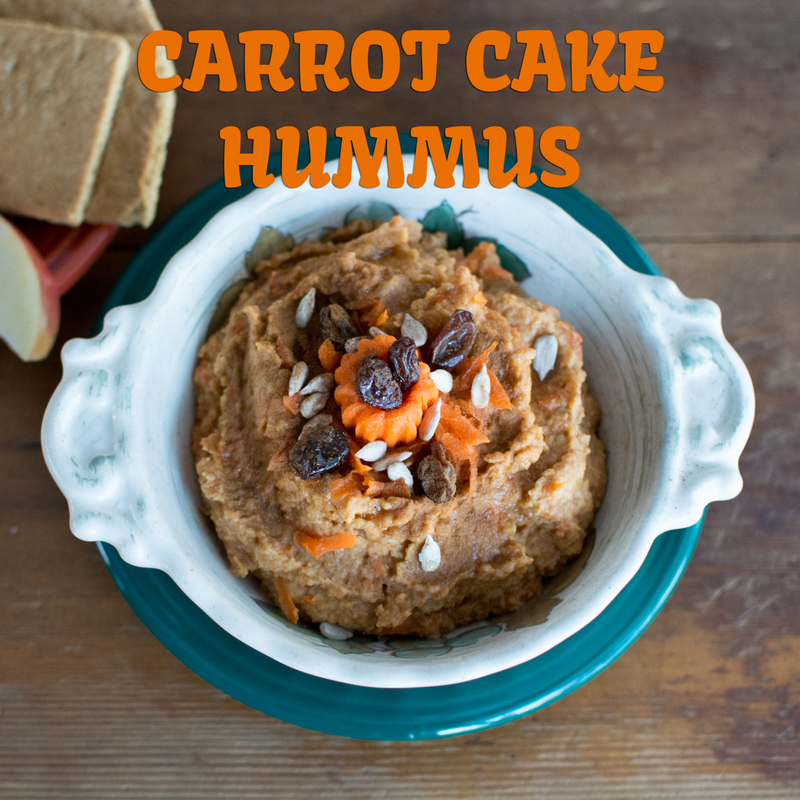 Carrot cake hummus. Dreamt into reality to be the perfect snack. 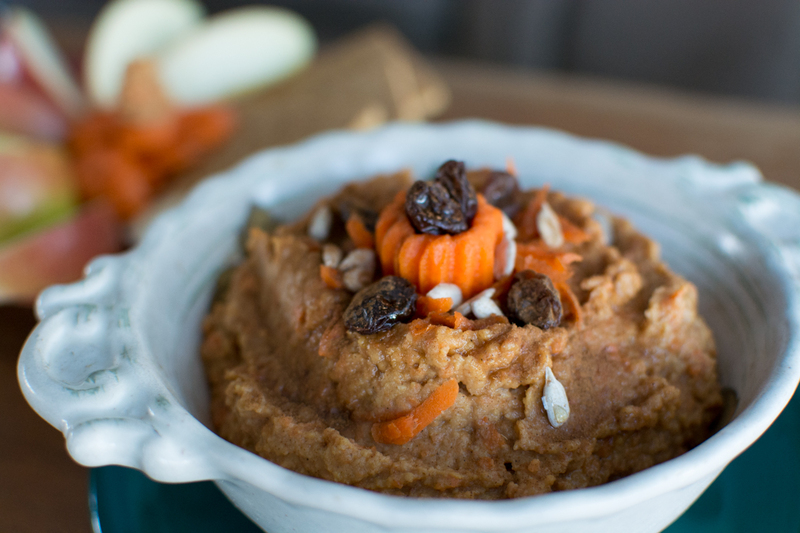 It has that hummus texture I love with just the right sweetness and spice to have you reaching for apples, graham crackers, celery, pita pockets, and more. I wanted this to be good—I mean—who wouldn’t when you spend enough time daydreaming about the recipe construction? Guess what? It is delicious! Woo hoo! and it’s super simple too. Cut the carrot in half. Steam half of it and shred the other half. Add the steamed carrot, chickpeas, maple syrup, lemon juice, cinnamon, nutmeg, salt, and vanilla bean/extract to a food processor fitted with the s-blade. Blend until smooth. Empty into a small bowl and mix in shredded carrot. Garnish with raisins, cinnamon, sunflower seeds and serve with apple slices, 3" pieces of celery or graham crackers. If you don't have a food processor, try mashing the ingredients with a large fork or potato masher. What a genius idea! I’m having some right now and love it. Added a little coconut at the end. Thank you, love your whole site.